From the moment you turn the first page of “Poolside with Slim Aarons” you are transported to a glamorous and carefree world, where the pool is the universe, the people are the stars and the colours are nostalgic. 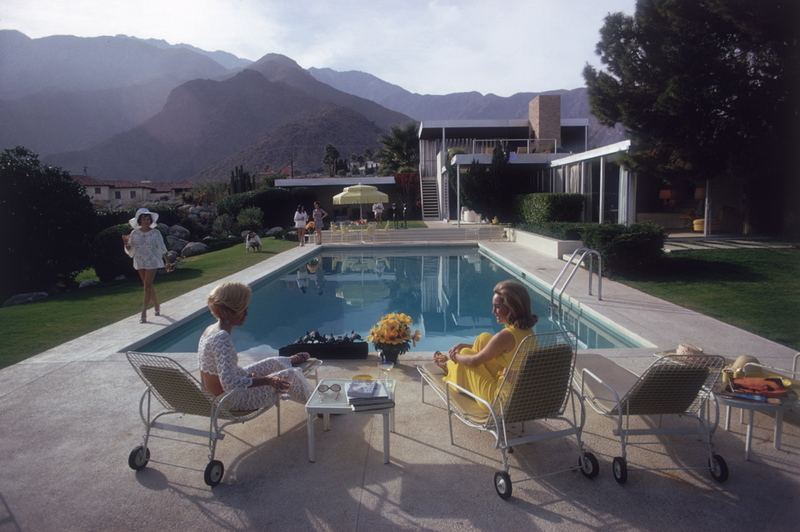 Slim Aarons captures private moments in time from the pools of the super rich and famous. It is through these brief but expressive moments that the viewer is allowed a limited and curious peak into a life that only the most privileged have ever experienced. The men and women in Slim Aarons’ images embody a sexuality and beauty that has long been lost in these modern days of plastic surgery, gym toned bodies and super skinniness; there’s a refreshing lack of self consciousness. Three pages in and you begin to fantasise about sipping mojitos poolside in Palm Springs. You start to form fabricated memories of a life you may have once lived in a villa in Positano or a summer retreat in Mexico. And this is why “Poolside” is one of my favourite books – it truly provokes the imagination. It allows you to create a story, one in which you’re the main character, sitting poolside in the life of your dreams.